My first guest is Michael Matlosz, Distinguished Professor of chemical engineering at the University of Lorraine and a member of the National Academy of Technologies of France. Former Director of the National School for Advanced Study of the Chemical Industries (ENSIC) in Nancy, he was Chairman and Chief Executive Officer of the French National Research Agency (ANR) in Paris from 2014 to 2017 and President of Science Europe in Brussels from 2015 to 2017, a non-profit organisation that brings together over forty research funding and research performing organisations from 27 European countries. In 2018, he was elected President of EuroScience, a non-profit association of researchers, teachers, journalists and other science professionals and interested citizens. Open to membership from individuals working in all scientific disciplines in Europe and throughout the world, EuroScience is committed to the advancement of research, science and innovation in Europe, thereby promoting the interests of its members. EuroScience currently has 2600 individual members from more than 70 countries. 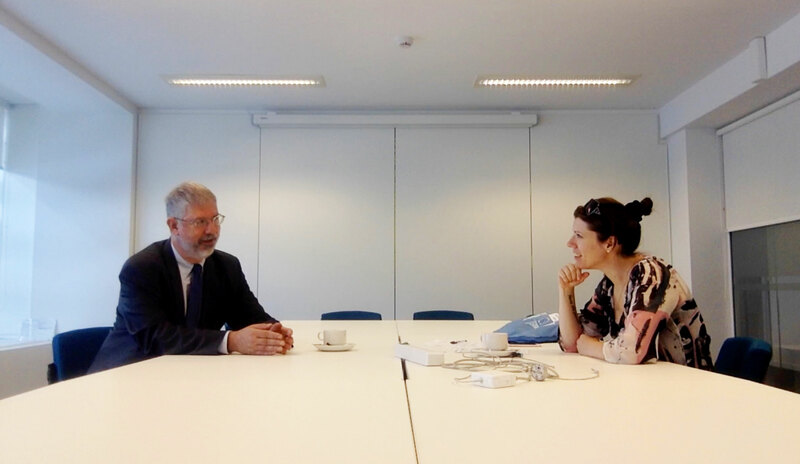 I met Michael at the headquarters of Science Europe in Brussels. It was a pleasure and an honour to speak to him. We discussed EuroScience, its mission and impact on the lives of every researcher and citizen in Europe, why it's important to join and to let your voice be heard.